As the Rule reminds us, the first reason for which we are gathered together in community is to live in harmony, having one mind and heart in God. This unity transcends the limits of the monastery and attains its fulness in communion with the Order and with the whole Church of Christ. 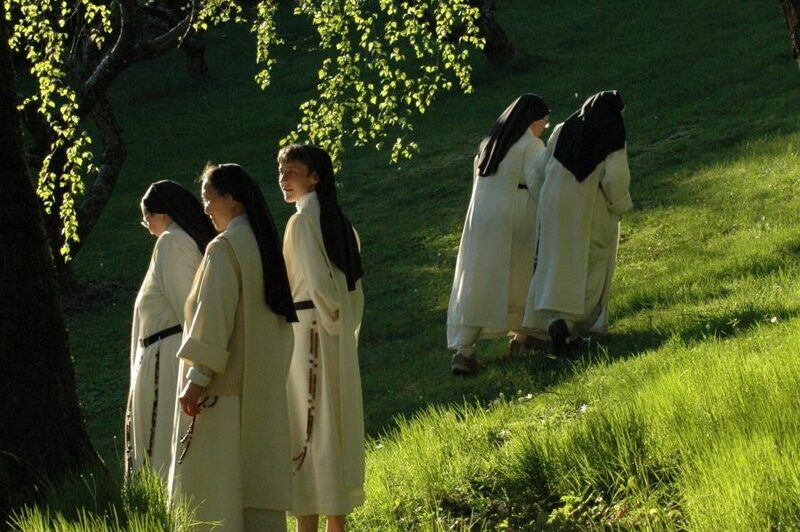 A Dominican monastery is a community of women who consecrate themselves totally to a common search for God. Prayer is our main apostolate, and the daily liturgy, where we listen to, receive and celebrate the Word of God gives our daily life its structure. 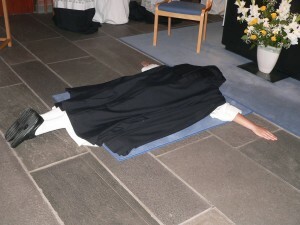 We make lifelong vows to live according to the Evangelical counsels: obedience, chaste celibacy and voluntary poverty. 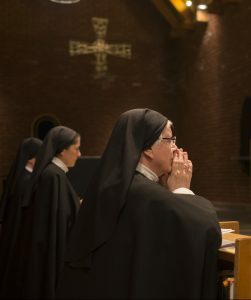 Through the profession of these vows, we are consecrated to God and intimately bound to one another in a way that is meant to open us ever more fully to receive and pass on to others the love of God, which is active in God’s plan to bring salvation to all and bring everything into oneness in Christ (cf. Ep. 1:10). Our founder, Saint Dominic, gave himself completely as a servant of this plan of salvation, and with our brothers and sisters in his Order we strive to do the same, in accordance with our particular call and place in it. The Word of God is central in the Dominican tradition – that is, the Word incarnate, Christ Himself. The Order is at the service of this Word. The nuns, although they do not have an external apostolate proclaim the Gospel of God by the example of their life. For they listen to the word, celebrate it and keep it in their hearts (cf. Lk. 2:18) (LCM 96 §I). In fact the whole life of the nuns is ordered so that the word of God may dwell abundantly in the monastery. 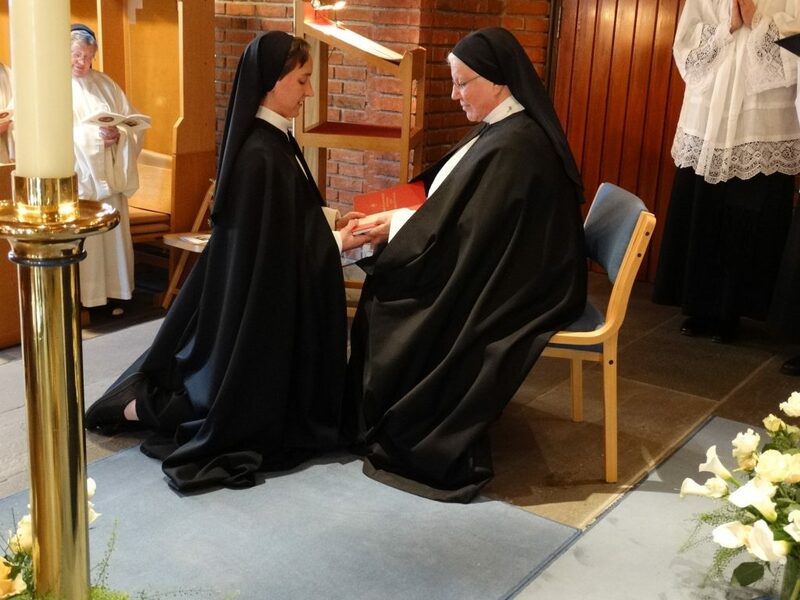 Therefore, the nuns, after the example of the Precursor, should prepare the way of the Lord in the desert by the witness of their prayer and penance (LCM 96 §II). 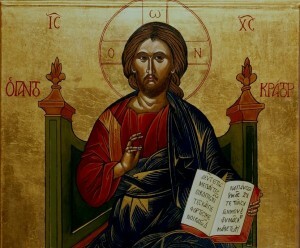 For this reason, a prayerful reading of the Scriptures (lectio divina) and scriptural and theological studies, have an important place in our life along with liturgical and personal prayer. To earn our living, we have different workshops where we make «monastery products»: lip balm, face cream, candles and cards, to name some examples. These are sold at the monastery and in certain other places. Along with providing us with our daily bread, work has its place in the monastic tradition in which we stand. Through it, we are united in solidarity with all people who have to work for their living, and especially with the poorest. Work is also an expression of our human dignity: creative activity shows us to be in the image of the Creator and co-creators with God. Lastly, work inserts a healthy balance into our daily rhythm.